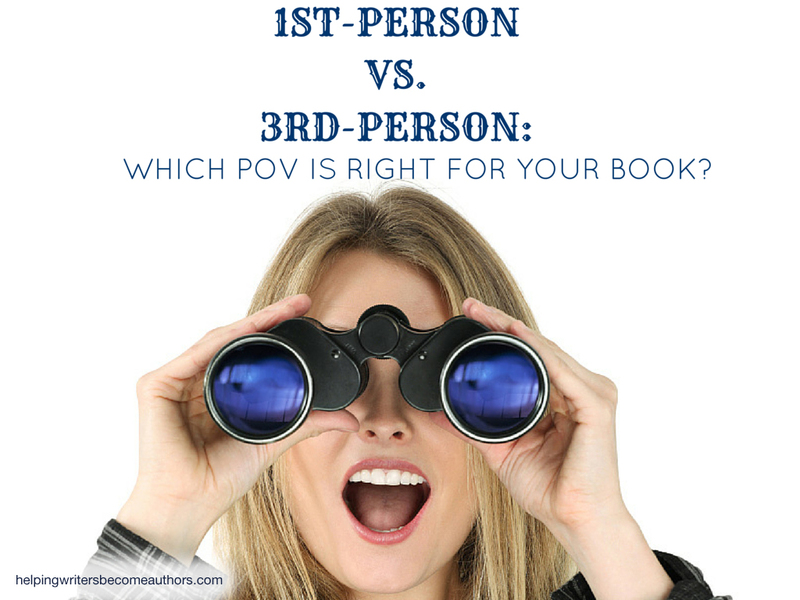 1st-Person POV vs. 3rd-Person POV: Which POV Is Right for Your Book? This week’s video discusses the pros and cons of 1st-person POV vs. 3rd-person POV in order to help you make the right decision for your book. Few decisions are more crucial to your story than that of point of view (or POV). This is a multi-faceted decision, involving the questions: Who’s going to narrate? How many narrators will you have? What the narrator’s voice sound like? And, Will it be a 1st-person POV or a 3rd-person POV? 1st-person, of course, has the narrator directly speaking to the reader: I fought the mighty dragon. 3rd-person uses the character’s name and the 3rd-person pronouns “he” or “she”: Frederica fought the mighty dragon. This is a decision that’s going to affect every sentence, so you know you want to get it right. But how do you decide which is right for your book—a 1st-person POV or a 3rd-person POV? If you follow me on Facebook, you know I’ve been pondering this myself as I work on my historical superhero story Wayfarer, set in Regency England. I’m not yet quite happy with the narrative voice, so I’ve been playing with it—back and forth between a 3rd-person POV and a 1st-person POV. Now I’m not here to tell you which is right for your book. Both are completely legitimate choices. But here are three thoughts to help you decide. 1. Even deep 3rd-person will always put a little extra distance between your character and your readers. Sometimes that’s a bad thing, but sometimes it’s actually a good thing. 1st-person narrators necessarily tend to be very self-aware, and when you’re dealing with a flawed character, that can make him less likable than he would be otherwise. 2. It also means you have to be much more conscious of showing your narrative rather than telling it. 3. And it means you have to be hyper-aware of the character’s voice, since every single word is, in essence, coming right out of his mouth. In short, the 1st-person POV can be tricky, which is why I will once again probably end up writing this book in 3rd. But that doesn’t mean 1st-person isn’t an equally marvelous narrative technique, as long as you go into it knowing its pitfalls and how to utilize its advantages. Tell me your opinion: Which will you use for your story—a 1st-person POV or a 3rd-person POV? Why? Many readers will skip over lengthy descriptions, especially if they’re not tied to the character’s POV. 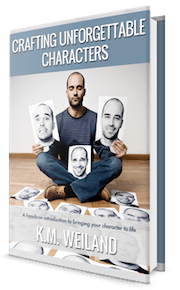 I think this applies to whatever POV you choose…the character’s attitudes and emotions must be the lens through which the scene or other characters are viewed. I used to dread doing descriptions until I realized that descriptions give the writer a great opportunity to reveal and deepen characterizations. Now I have fun with them. Descriptions *are* a lot of fun! It’s all about controlling the narrative. Anything we show is reflective of so many areas of story – primarily character, but also symbolism and tone. S J, I don’t remember the exact moment when it occurred to me that descriptions, as you say, are part of deepening the character’s view of the world. You are so right: it is such fun. It takes the strain right out of this endless search for an interesting way to see the fiction world we write about. Somebody recently likened it to method acting. You really have to BE the character. Which is the most fun possible. For my book 3d person POV seems most natural as there is multiple POV characters. The problem I am having is when to use author’s voice. I wonder whether I should use it all, because some people recommend not using author’s voice as it breaks immersion. On dark gloomy street there was a 2 story house with red roof. On 2nd floor room, a boy was sitting on a chair and writing.. I could write the scene entirely from boy pov, however then I could not put a description of place . There is no way boy would think about roof of their house, without it feeling artificial. And even to describe the street – I would have to make him look out of the window (and even then he can only see whats in the window). In another scene I have a character on the busy market and people around him speak foreign(to him) language. There is no way I can make reader understand what people saying from deep POV . Thing is they are saying important thing, but character does not understand it. What you’re talking about here is actually an omniscient POV (which is told in 3rd-person). Deep 3rd-person, however, will adhere just as strictly to the narrator’s perspective (what he’s able to see, hear, etc.) as will 1st-person.﻿ It can sometimes work to begin a scene in a more distant POV, then segue into the narrator’s deep POV. But we have to be careful with that. It can easily turn into head-hopping. My question about description always is this: how important is it to describe the dark street, the red roof, the boy sitting at a desk…? Why not just show the boy writing at the desk? If the description is that important, he could take a break from writing (as Max noted) and throw open the window and feel the breeze on his face and see the gloom of the night… and feel a sense of belonging – or of displacement – or of loneliness… whichever fits. If the red roof of his house is important to the story, he can always appreciate it walking home along the street. How important is the red roof? I show the red roofs of Heidelberg (in my historical novel) by having the MC stop each time he comes home on leave, when he leans on the old oak tree, and appreciates the view he has of the city along the mountain slope below his grey stone house. Lyn raises a really excellent point here. The beauty of a deep narrative is that *everything* it is is reflective of the character. Descriptions aren’t just visual details; they also pull double duty as insights into the person who is observing them. What we lose in overall “cinematography” in an omniscient narrative is often repaid tenfold by the intimacy and subtext of the deep POV. Thank you for reminding of the fact that description trough POV allow for deeper characterization in the way of show. Fact that character focuses on certain details and not the others can tell a lot about himself. However I am a bit wary of this approach because I am afraid it show characters overly reflexive. Which is not the quality I want to convey for most characters. Another thing is that the way scenes they appear in my imagination is certainly “cinematographic” and not tied to POV. I see the environment like trough a camera lens and then the characters and then their actions and dialogue. Rewriting this from character POV takes a lot of extra work and I do struggle with creating image of a scene this way. POV *is* limiting, but that’s really the point. We’re writing a novel from the perspective of a character, not a movie. There are pros and cons to both media, so what we gain in certain areas as novelists doesn’t mean we don’t lose something too when it comes to cinematography. We each have to balance the needs of our story in choosing which POV (and its limitations) will be best. It’s definitely an option to use both first and multiple third POVs. But that can get tricky, since it becomes even more important for the narrators’ voices to be distinctive. I remember once I read the book where each chapter was written in first person. But each time from a perspective of a different character. It was actually quite interesting. I think partial reason while it was working that there was clear separation between POV switching in form of a chapter. Thank you both for your input. I tend to enjoy 3rd person, because I can go really deep into the character or hold back as needed. I have to restrain myself from head hopping sometimes though. Sometimes my scenes can sound omnicient 3rd when i start, but the difference is the fact that I rarely descibe something my POV character can’t see. Anything and everything is shown how the character sees it in their head based on their personality/mood/state of mind/recent events etc. whether it be the setting or another character’s actions. The last novel I wrote was in first person, but the story demanded it. I know some readers won’t read it, but I wrote the first half in third person and gave it to a few critiquers who said the story would be so much better in first person, and it truly is. But the one I’m working on now is going to be in 3rd person, but not omniscient. I’m going to focus on telling the story from the perspective of the mentor for the first act, the protagonist for the second act, and the antagonist for the third act. It sounds confusing, but so far it’s working. Doesn’t matter how you write your story – some readers will *always* not read it. Write it the way it needs to be written and it will reach the audience it’s meant for. You can please some of the people all of the time, and all of the people some of the time, but you can’t please all of thepeople all of the time. I have always written to please myself, knowing that there will be readers ‘out there’ who like my stories and characters. If you try to write for the everyman reader, you could drive yourself out of your mind. Or into a mechanical corner where the heart of the work is lost for trying to please others. This is, in my opinion, the best path for any author. If you love something, you can be sure others will share your love. I’m currently writing a story with multiple narrators, each giving their own slant on the events in the plot. At least three of the narrating characters can’t be trusted with first person, because they are horribly self-deluding. For at least one of them, first person is the only way to get her story across. POV shifts are a trap, though. I’m having to write each narrative thread in turn, then interweave them. It’s the only way I can keep the different voices consistent. Unreliable first-person narrators can be be interesting, but only when the story calls for it. Otherwise, you’re right, it’s more trouble than it’s worth. I’m a little late, but I just found this post and it helped me a lot to be sure I chose the right narrative. My novel’s main character is a very flawed one who is in denial about tons of aspects in life. It would be exciting to try telling his story in 1st person, but tricky too, which is why I chose the 3rd. He keeps secrets from the reader, he isn’t always honest with them and since he knows it would’ve been pretty hard to not turn the story into a confusing mess. Or do you have another opinion? 🙂 I’m always happy about input! I also want to thank you from the bottom of my heart. I bought “Outlining Your Novel” and “Structuring Your Novel” a while back and it has helped me a lot. 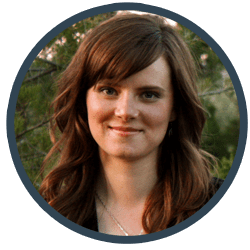 I was so lost, not knowing how to put my story together – I guess I can be too analytical sometimes – really got into my way. I’m still not finished, but I’ve grown thanks to your work and effort of helping others. 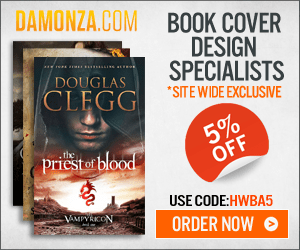 Awesome to hear you’ve found the books useful! And I think you’re spot-on in your decision to use third-person with your character. First-person creates a ton of intimacy, and sometimes we don’t necessarily want that with a less-than-likable character or one who is hiding deep secrets. Hello there K.M, thanks for yet another great post. I am ready to start writing this fantasy series and wanted to do it in 1st person. However, the main character dies at the very end. Is that something that I should stay away from, and just do it in 3rd person? I guess I can switch to an epilogue with another minor /side character to finish it out, or maybe just switch to 3rd person that last chapter/epilogue? In that case, I would recommend a framing device in which it opens and ends with another character’s POV, showing how the main character’s journey and death affected them. Oh that is so smart, thanks!